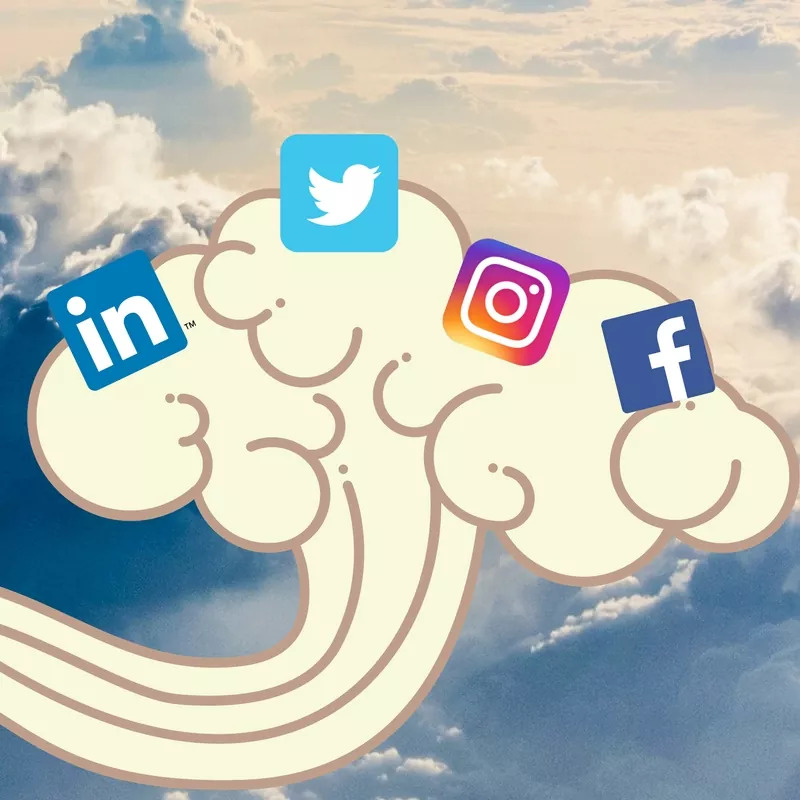 Heavens – Where’s your Social Media!? Be honest with yourself: do your social media posts sound like the monotone ramblings of a middle-aged economics professor? Or is your social media presence a true representation of your brand, where content is engaging and consistently posted on a variety of feeds, actively increasing your followership to generate new business? If you haven’t made the acquaintance of our newest brainchild, we’d like to take this opportunity to reintroduce you to iScreamSocialMedia. Prepare to scream to the heavens, your prayers have been answered! You might be thinking, “SEOversite, don’t you make my life easier by hand-picking vetted teams to perform my SEO, PPC, web design and more, then oversee their progress to ensure a smooth journey? If you work with all of these other teams, why would you bring something in house?” Well, compadre, we saw a prayer in the market that was going unanswered and had not found a team that could meet our heavens-high standards. We would not be known as “The Guardian Angel Watching Over Your Online Presence” if we ignored what should be one of the brightest stars in your sky – Social Media. Read on to learn more about why a Social Media Strategy needs to be employed to grow your business and customer base. “I already have tons of customers and clients from my brilliant website, robust SEO and expertly managed PPC. Why should I waste my time with this kids’ stuff?” Ha! Don’t make us laugh while we’re sipping such a fine whisky. You may think social media is just for socializing, but with social media networking and messaging encompassing 1 in every 3 minutes spent online (a daily average of 1 hour and 58 minutes), you’re missing a lot of face time with your customers if you’re not on the bandwagon. In addition, social media isn’t just made up of “kids”. In fact, out of the 2.3 billion active social media users, according to SmallBizTrends, “97 percent of online adults aged 16-64 say they have visited or used a social network within the last month”. 1. Do you really want an intern handling your brand? Let’s take a moment to talk about your brand voice. In his TED Talk, Dan Cobley (a Marketing Director at Google) said, “You can invest for a long time in a brand, but a single contrary observation of that positioning will destroy consumers’ belief.” Do you really want to trust the actualization of your brand to the hands of an intern? Instead, we recommend working with a professional team to develop your unique brand voice that is a true reflection of your company culture and values, and captures the attention of your audience, educates them on your business, and earns their trust. You need a team that will not only ask the critical questions and really drill down on the specifics of your brand voice to give you a unique, impressive feed; but you need a team who will oversee and manage your content to ensure its alignment with your brand voice and company values. 2. You’re only posting on Facebook, and only once in a while? We have nothing against posting on Facebook. In fact, we have our own Facebook company page, where we post about everything from new advances in technology to a whiskey event we attended, peppered in with tips to educate our audience on what we do (feel free to mosey on down for a visit and give us a like). But in the grand scheme of things, Facebook is not the best social media feed for a business to simply post without paying for greater visibility. Facebook’s algorithm is designed to keep users happy and engaged — resulting in your feed consisting mostly of very well liked posts related to content and people you’ve liked, with very few organic posts from businesses. Instead of only posting on Facebook, or any other single social media platform, you must vary posts on several different feeds and post regularly (at least twice a week) to keep followers engaged and to gain more followers. Having a robust feed, as well as history of posts, will also support your brand. According to WordStream “more than 56% of online adults use more than one social media platform,” so the more platforms you are on, the higher your chances are of reaching that customer. iScreamSocialMedia assigns you a dedicated Social Media Manager, who will help you determine the traits of your brand’s avatar — the voice of your business on every post on your feeds. We will help you create and curate unique content for Facebook, Instagram, Twitter, LinkedIn, and Google+, then pre-schedule each month’s worth of content before the month even begins in a convenient and easy to navigate social media calendar, sent to you for approval before posting. To learn more about iScreamSocialMedia and to find out how we can help you build your social media presence reach out to GetTheScoop@iScreamSocialMedia.com or call 305-455-0720. And to see more of iScreamSocialMedia’s work — check out our Instagram Page or any of the SEOversite Feeds — Instagram, Twitter, Facebook, and LinkedIn.